Meredith Willson - musician, playwright and composer - was best known for the book, words, and music for The Music Man (1962). He wrote two other musical plays, including The Unsinkable Molly Brown (1964). Many of his songs are standards, including "You and I", "May the Good Lord Bless and Keep You", "It's Beginning to Look Like Christmas", "Seventy-six Trombones", and "Till There Was You", which was a surprising song choice for a hit record by The Beatles. Willson left Mason City, the setting for "The Music Man", in 1919 to attend Damrosch Institute (now Juilliard) in New York. He played flute and piccolo in John Philip Sousa's band from 1921 to 1923 and then joined the New York Philharmonic Orchestra from 1924 to 1929. In 1930 he got a job in radio in California. Radio was his primary source of income over the following twenty-five years. He also composed several orchestral works during the '30s and '40s, including symphonies for The Great Dictator (1940) and The Little Foxes (1941). In 1951 the stage producers Martin and Feuer proposed that Willson write a musical comedy about his Iowa boyhood. With his common touch, they said, it was sure to be a hit. After seven years, he finally got what turned out to be his masterpiece onto the stage. "The Music Man", which Willson said was "an Iowan's attempt to pay tribute to his home state", premiered on Broadway in 1957. Robert Preston recreated his most famous role and Willson's most famous character, that of Professor Harold Hill, in the film production of The Music Man (1962). A gentle, lilting accompaniment supports the warm choral lines in this sweetly nostalgic number from Meredith Willson's The Music Man. 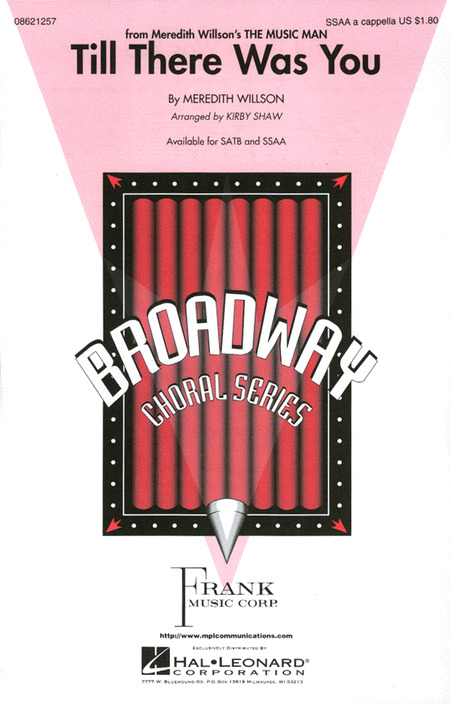 Available: SATB, SAB, SSA. Performance Time: Approx. 1:50. Mac Huff's accessible arrangement of this popular pairing of songs from Meredith Willson's Here's Love will bring a seasonal sparkle to your holiday show. Your whole audience will be glad they came! 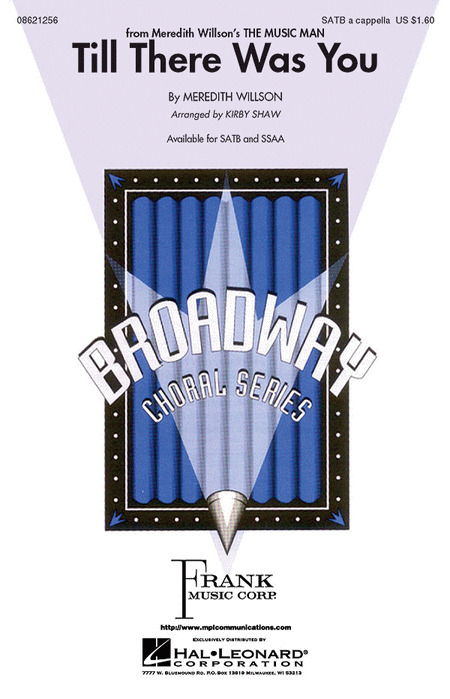 Available: SATB, SAB, 2-Part, ShowTrax CD. Performance Time: Approx. 3:00. 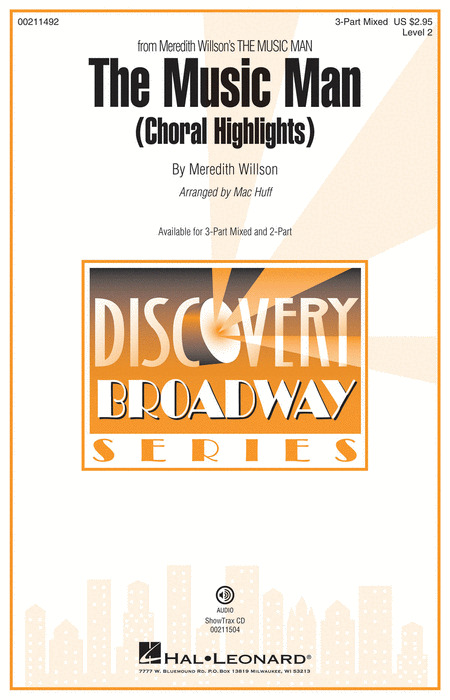 Here's the popular holiday song by Meredith Willson in an accessible Discovery series edition for younger choirs. Available: 2-Part, 3-Part Mixed. Performance Time: Approx. 2:30. Here's a campy doo-wop setting of the Meredith Willson classic. Don't miss it! 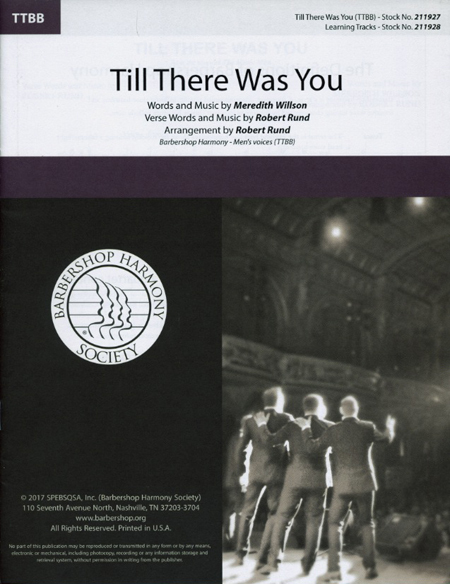 The perfect way to end a concert or graduation ceremony, this Meredith Willson classic has been artfully crafted by Mac Huff. 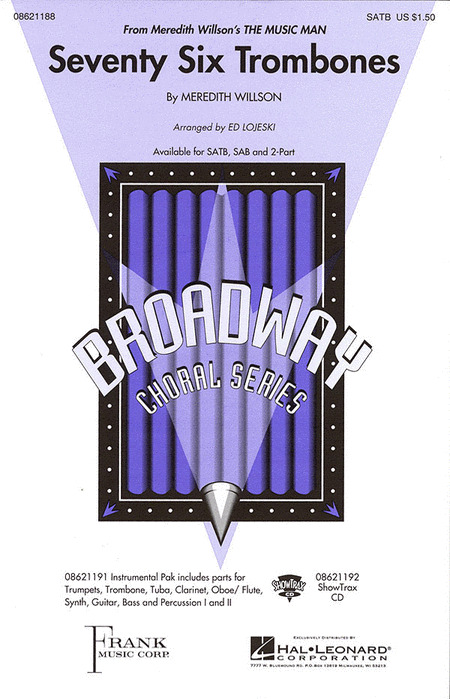 Available separately: SATB, SAB, and SSAA. ShowTrax CD also available. Performance time: Approx. 3:30. 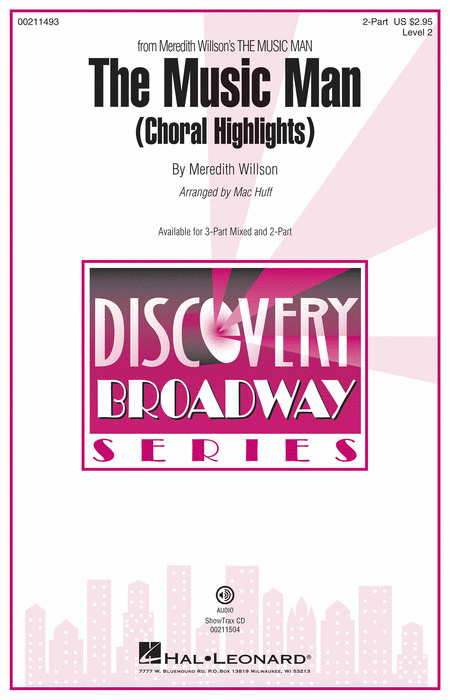 This 4-minute mini-medley of songs from Meredith Willson's wonderful Broadway classic is a natural for younger choirs! Includes: Gary, Indiana; Seventy Six Trombones; The Wells Fargo Wagon. 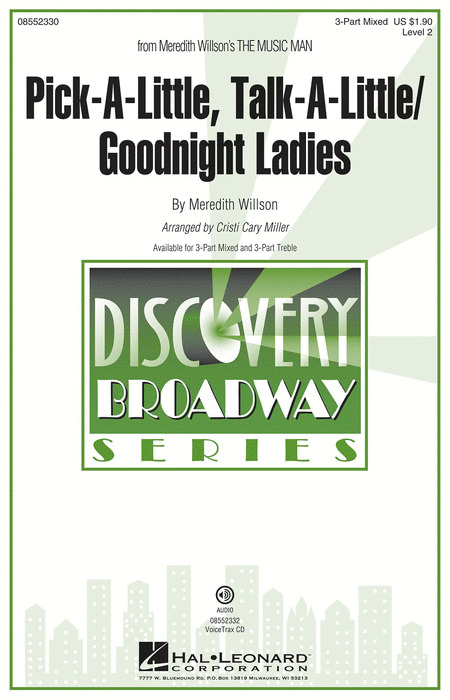 From the classic musical by Meredith Willson, The Music Man, these two songs will be tremendous fun to perform in this accessible edition! Your students will develop both rhythm, diction and precision and expressive legato phrasing as the songs combine! 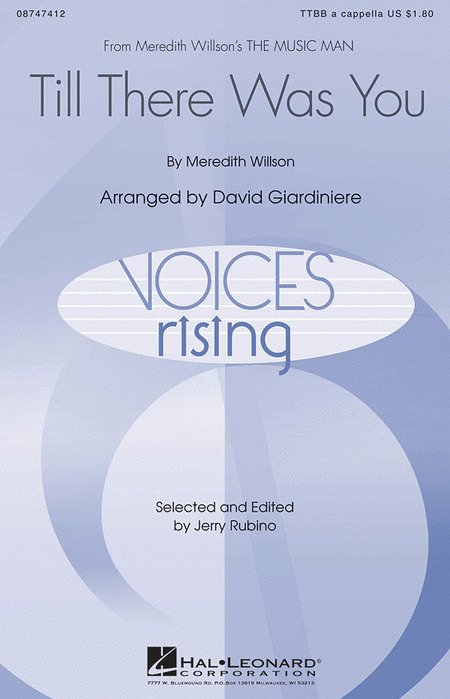 Available separately: 3-Part Mixed, 3-Part Treble, VoiceTrax CD. Duration: 2:50. Discovery Level 2. Meredith Willson's The Music Man is the hottest ticket on Broadway! 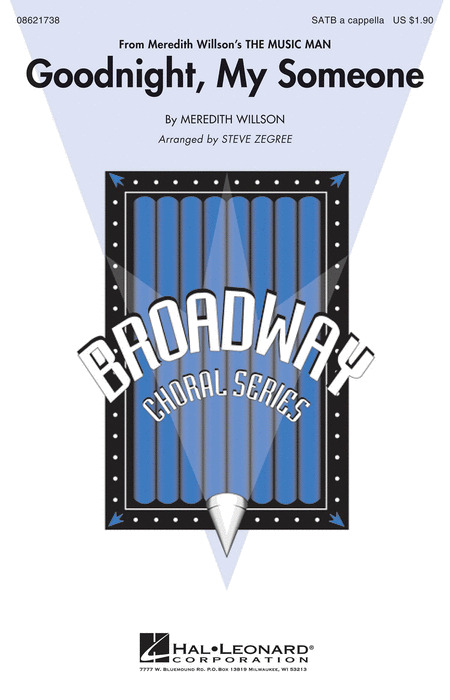 This arrangement for concert choirs captures all the excitement of the stage and in addition to the classic melodies, you can even imitate the sound of the marching band instruments with your singers!Available separately: SATB, SAB and 2-Part. Performance Time: Approx. 3:55. Roger Emerson's Discovery Broadway arrangement of this Meredith Willson showstopper captures all the excitement of the Broadway stage. 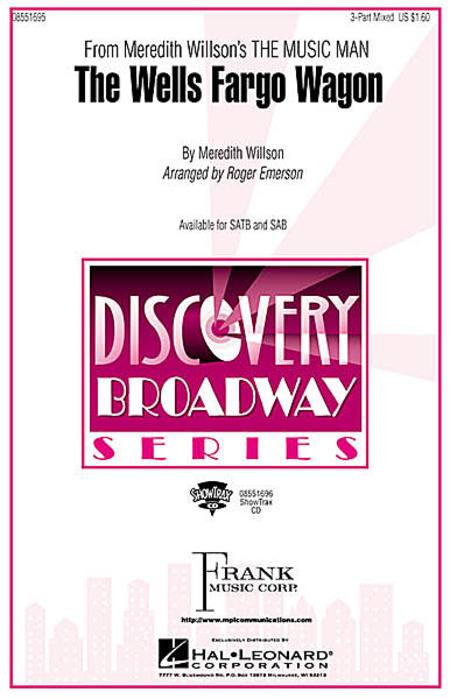 An excellent showcase for your developing ensembles.Available separately: SATB, SAB and ShowTrax CD. Performance Time: Approx. 2:15. 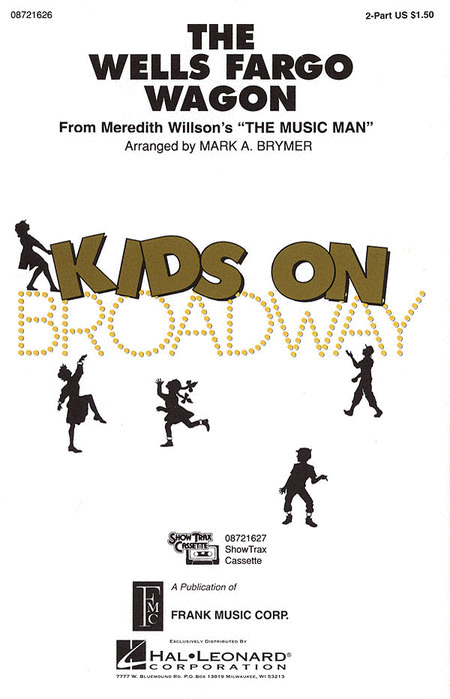 From the Kids on Broadway series. 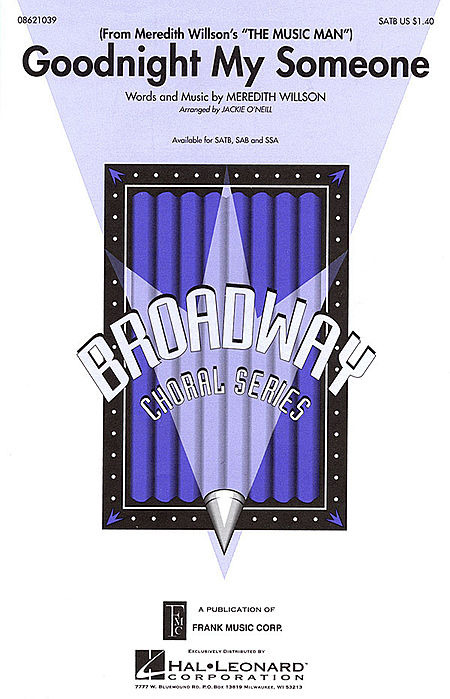 Easy countermelodies and strong voice leading highlight this classic tune from The Music Man. Available: 2-Part. Performance Time: Approx. 2:20.